Is Pau D'Arco Good for Candida? - YeastInfection.Org by Eric Bakker N.D.
You are here: Home / Yeast Infection Treatment / Is Pau D’Arco Good for Candida? February 19, 2015 by Eric Bakker N.D.
We have been using herbs for medicinal purposes since ancient times. Unfortunately, however, people are changing their priorities in terms of medicine and are opting medicines because of their advanced potency against the alleged pathogens. Although potency of drugs is an important concern these days, the newer drugs are not without side effects. For this very reason there is a group of people that is reverting back to the traditional herbal medicine to avoid the wide array of side effects the new antibiotics bring us. Pau D’arco is one of several herbal medicines freshly out of the Amazon jungle. It is used in Traditional South American medicine very avidly and is very good against dysentery, intestinal inflammation and also considered as a tonic. The key active principles in this herb are the naphthoquinones. It suppresses the growth of human gut bacteria and is also very effective against Candida Albicans and the very much resistant Candida glabrata. The herb has several compounds that are medically very useful and the herb is regarded by some people to work best in concert as a part of overall treatment against Candida. Firstly, it loosen the bowels. Not too much to cause diarrhea, but just enough to clear your bowel and then expose the Candida. Secondly, Pau D’arco is a powerful anti fungal substance. Enriched with several classes of compounds like lapachol, Xyloidone and various naphthoquinones it has potent action against many fungi. Especially, the lapachol content of the Pau D’arco is thought to inhibit the Candida growth. According to a research carried about Lapachol in 2007, Lapachol has considerable effects against Candida Albicans, Candida Tropicalis and Cryptococcus Neoformans. The effects were comparable and to quite an extent similar to those caused by Amphotericin B. Lapachol’s effect are thought to be due to its interaction with the cellular membrane. According to a research carried out in 1992, women who had chronic yeast infections were treated promptly when Pau D’arco was added to their treatment regimen. It has an immune boosting effect that sensitizes the T lymphocytes and other components of the human immune system against foreign pathogens. 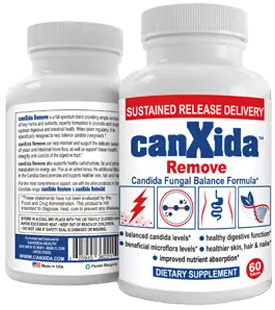 Indeed, Candida is an opportunistic organism that inhabits our body very commonly without causing any disease but it does cause symptoms when the immune system goes weak. Doctor Jeffery Anderson, M.D., a Mill Valley medical Practitioner treated women with difficult yeast infections and narrated, two hours after using the Pau D’arco tea as a douche, the vaginal yeast was cleared very nicely. He recommends his patients to drink Pau D’arco tea- ½ to 1 cup per day and increases it to 4 cups per day in approximately one month. There are two known ways of consuming Pau D’arco. The most easiest way to take it is in form of tea. The tea is sold by various brands, pharmacies and supplement stores online in form of tea bags. More recently another preparation has been made in form of a spray that is taken orally and it is rapidly absorbed. It has been reported that Pau D’arco doesn’t taste well even as tea. One more thing to be cautioned about is that, Pau D’arco works best in its pure and natural constitution. There are many Pau D’arco impostors on the market and care should be taken before buying it from any source. You don’t really want an unwelcome and unknown chemical going into your body. As has already been described, the antifungal properties of Pau D’arco are magnificent. So if you are someone suffering from a Candida infection, you should try out this natural mode of treatment at first. Pau D’arco has an effect of clearing your blood off toxins and has an immune boosting as well. It is also a potent antimicrobial for various bacteria and microorganisms in addition to being useful against Candida. It has anti-inflammatory effects and is effective in pain relief and joint diseases. Pau D’arco has an anticancer role and has much supportive evidence for that. It also has a woiund healing effect. Sometimes instead of being an immune boosting agent Pau D’arco can weaken the immune system as well. Here are a few conditions in which it is best not to consume Pau D’arco tea. Pregnant or breast feeding women should avoid Pau D’arco. People who are already on blood thinners should avoid taking Pau D’arco as it itself has a potent blood thinning effect. When considering Pau D’arco as a food supplement, you might have an upset stomach and nausea if you consume it in high amounts. So Caution has to be taken. Pau D’arco has significant die off effects when used against Candida and it is rather necessary to start slowly with it to avoid significant die off. Start with about half a cup per day and increase it to about four cups per day if your condition suits taking it that high. If you do feel die off effects, cut back on your Pau D’arco for a few days and as you begin to feel better you can up the ante gradually. Wait, did you just suggest taking Pau d’arco with a few teaspoons of sugar? To fight candida you need to eliminate most, if not all sugars from your diet. Candida feeds on sugar. pau d arco is not working. help this is killing me. You must do the Candida diet in conjunction with drinking the tea. No pill or treatment will work without completely eliminating simple sugars and carbs from the diet. I know, because I’ve been through it and got rid of Candida but then went back to bad eating habits and drinking alcohol and it came back with a vengeance. Hi there. I have had chronic oral thrush for 7 months and even traditional pharmaceuticals are not working. Very interested in more natural forms of candida control, but I’m really adamant about having evidence based information for informed medical decision making. Could you reference the studies/research you posted in the article? I’d be interested in checking it out. Thanks for this information. Research Grapefruit (not grape seed) extract to dilute and put directly on your tongue. Along with a Specific Carb Diet. This is the only thing that treated my daughters chronic thrush and worked within days. Hello, I have read about the Pau d’arco tea or spray but what about the pill version from companies like ‘Now’ an others?